Like many people, Charlotte’s Web was a rite of passage of my childhood. I remember fondly my teacher reading a chapter each day to my third grade class. There was not a dry eye in my classroom when Charlotte died. (I guess it’s too late for a spoiler alert?) I remember afterward happily reading Charlotte’s Web on my own at home. I didn’t know at the time that I was reading a typical third grade book. But not every child could read well enough to curl up with Charlotte and Wilbur on their own. Even today in the Queen City there are thousands of third graders who finish the year unable to read Charlotte’s Web on their own. Third grade is the dividing line between learning to read and reading to learn. As students enter fourth grade they are expected to use the fundamental skills they learned in early elementary school to read to understand, solve problems, and gain information. They also start reading significantly in subjects such as math, social studies, and science. Students who are not reading proficiently as they enter fourth grade will find roughly a third to one half of the curriculum beyond their comprehension. Without significant intervention, roughly three quarters of students who are not on grade level by the end of third grade will not catch up. Students behind in reading at the end of third grade are four times more likely to drop out of high school. Research tells us that 96% of third graders who read on grade level will graduate high school on time. Reading even helps at-risk children overcome the challenges they face everyday. Eighty-nine percent of children low-income third graders will graduate high school on time. Conversely, third graders behind in reading are four times more likely to drop out of high school. Third grade truly is a fork in the young lives of children. Simply put, reading proficiency by the end of third grade is the most important predictor of high school graduation, career, and life success. The research tells us there are very clear predictors of whether a child will read on grade level by the end of grade three. In the early years it’s expressive language and language comprehension, the words that a child can say and understand. Indeed researchers tell us that a child’s vocabulary at age three is a strong predictor of their reading at grade three. Later as children get closer to starting school their understanding of alphabetic principles and letter-sound relationships become increasingly important. Their burgeoning mastery of the sounds that make up words – phonemic awareness – is also critical. 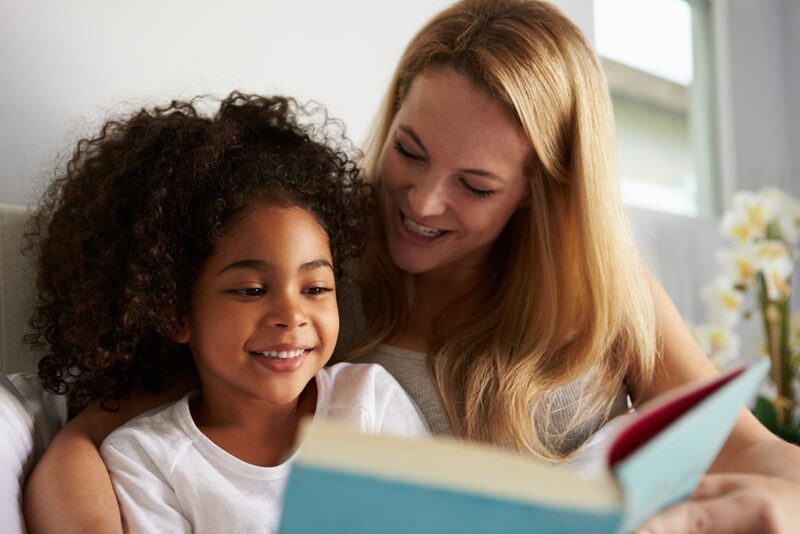 The National Reading Panel in 2000 told us that letter-sound knowledge and phonemic awareness are the two strongest predictors of reading success in the first years of elementary school. Phonemic awareness is the super pre-reading skill that bridges preschool and elementary school. A child’s phonemic awareness at the end of Kindergarten predicts their reading ability at the end of first grade. A child’s reading level at the end of first grade predicts their reading ability at the end of third grade. Research finds that if a child is a poor reader at the end of first grade, she only has a 12% chance of catching up by the fourth grade. Learning to read is the most important work of children in their early years in school. Reading is crucial for full participation in civic life and economic opportunity. It allows us to gain knowledge, understand information, and communicate ideas. This key life skill opens the door to social development, personal progress, and economic mobility over a lifetime. If children can’t read by the end of third grade, they lose confidence, fail in school and struggle in life – all at a cost our community and their families can’t afford. But children can’t do this work on their own. It’s our job as adults to help them succeed.